This is a great birthday ecard for your wife to say happy birthday with. 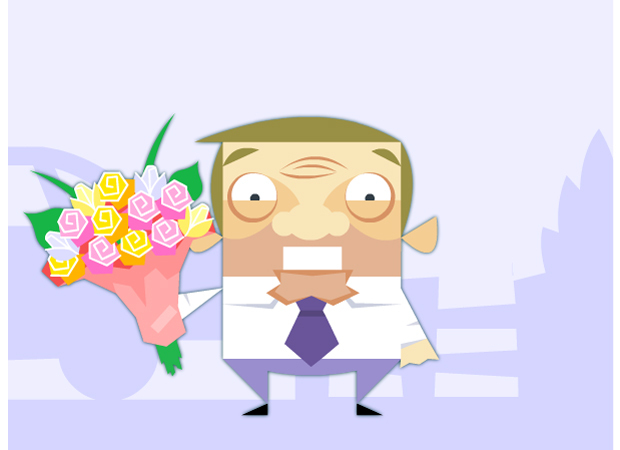 It starts off with a husband facing the camera and he pulls out a big bunch of flowers. The price tag of a £1 dangles down and the husband looks embarrassed and pulls the tag off. Text then appears saying "To a wonderful wife happy birthday."